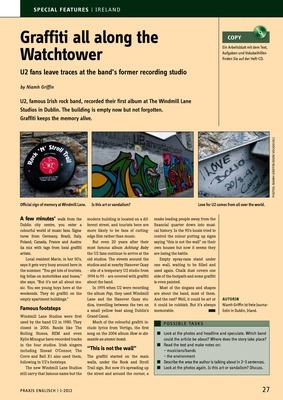 U2, famous Irish rock band, recorded their first album at The Windmill Lane Studios in Dublin. The building is empty now but not forgotten. Graffiti keeps the memory alive.